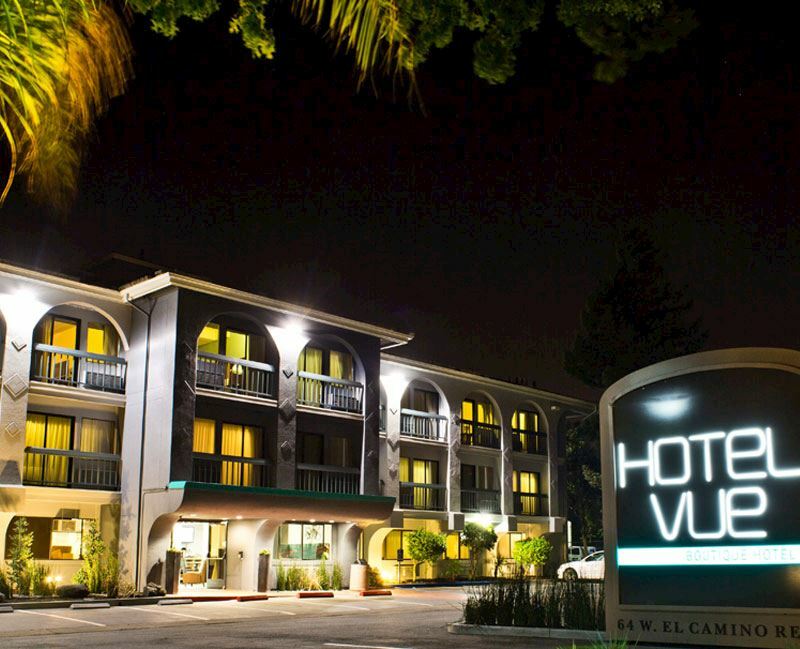 Experience our boutique style hotel in downtown Mountain View, California, tucked between the San Francisco Bay and the Santa Cruz Mountains in the center of Silicon Valley. 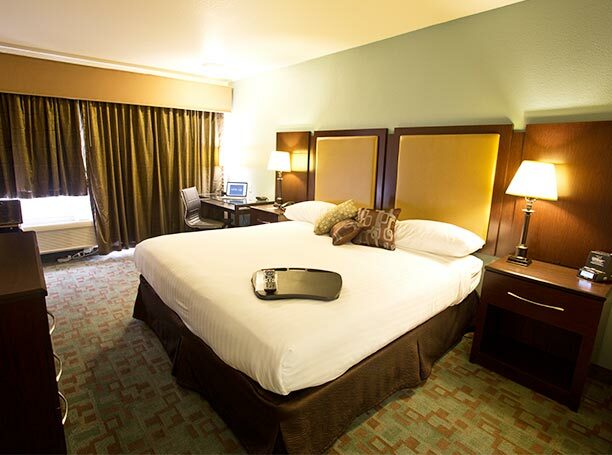 Hotel Vue is an intimate, contemporary hotel with sleek, warm spaces, high-tech amenities, and comfortable rooms that help you work and relax in Silicon Valley. 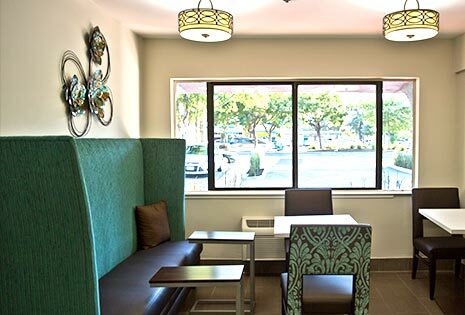 Designed for business and leisure stays, our modern hotel on El Camino Real is the perfect place to unwind or think up your next big idea. 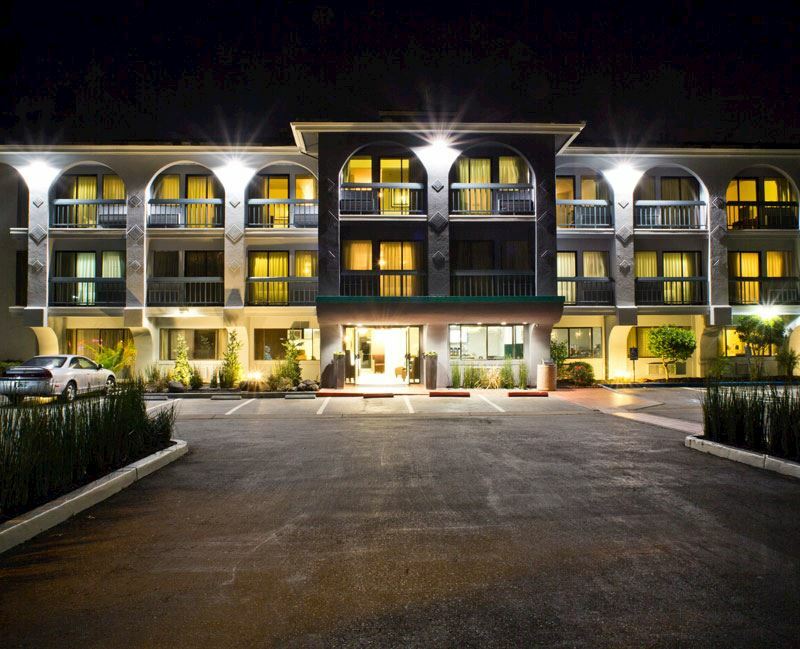 Start your day with a fresh free breakfast buffet before venturing out to explore the Bay Area. Located in downtown Mountain View, Hotel Vue is within walking distance of local restaurants on Castro Street, shops, urban parks, and the area's best sights. 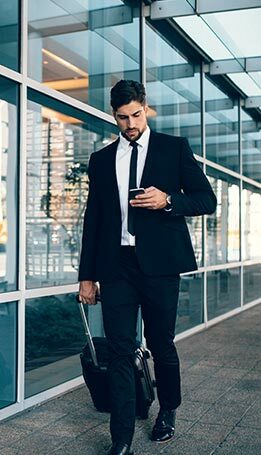 Perfect for business travelers and vacationers, our hotel is convenient to Silicon Valley's top tech companies including Google, as well as cultural sights like the Shoreline Amphitheatre, Stanford University, Levi's Stadium and California's Great America. 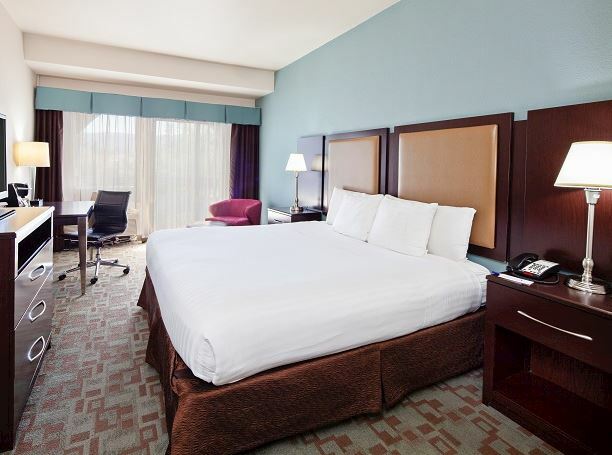 Stretch out and sleep well in this modern room with two double pillow-top queen beds fitted with luxury linens, free Wi-Fi, and a flat-screen TV. 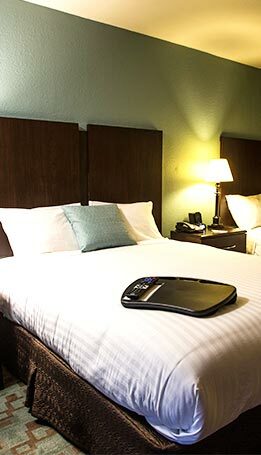 Rest and rejuvenate in this boutique-style guestroom with one double pillow-top queen bed, free Wi-Fi, and a flat-screen TV with cable. 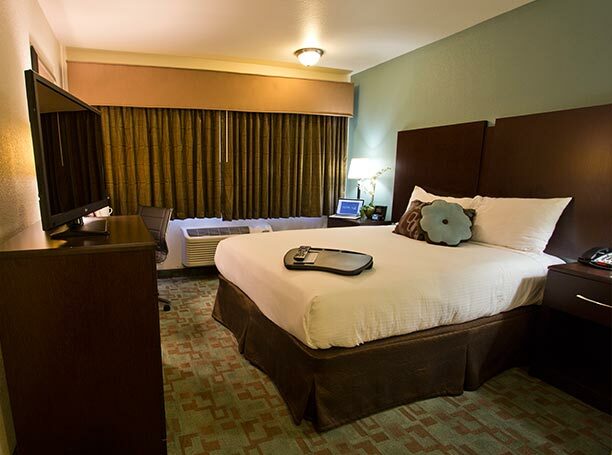 Unwind in this superior room with one double pillow top king bed, microwave, refrigerator, free Wi-Fi, flat-screen TV, and a balcony to enjoy the sunsets. 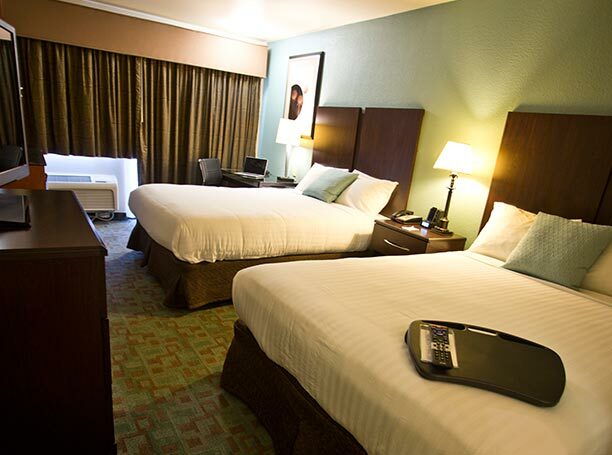 Settle into this deluxe room with one double pillow top king size bed, free Wi-Fi, a flat-screen TV with cable, and a step-out balcony. 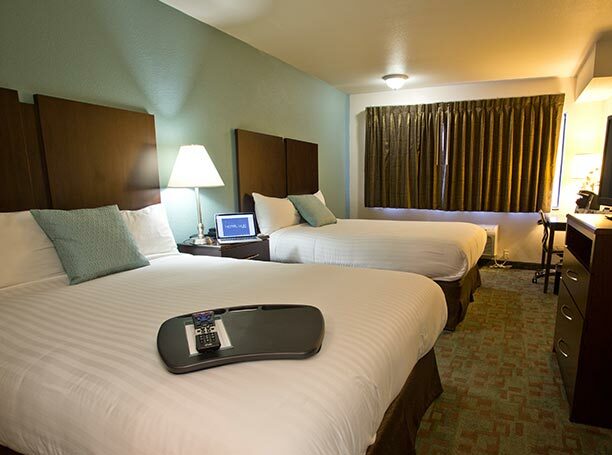 Perfect for families, unwind in this superior room with two double pillow top queen beds, a microwave, refrigerator, and a step-out balcony. 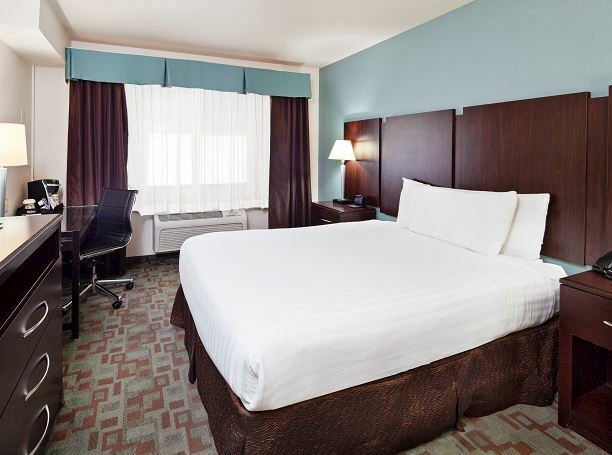 Relax in this modern, ADA compliant room with one double pillow top queen bed, flat-screen TV with cable, and balcony to step out on. 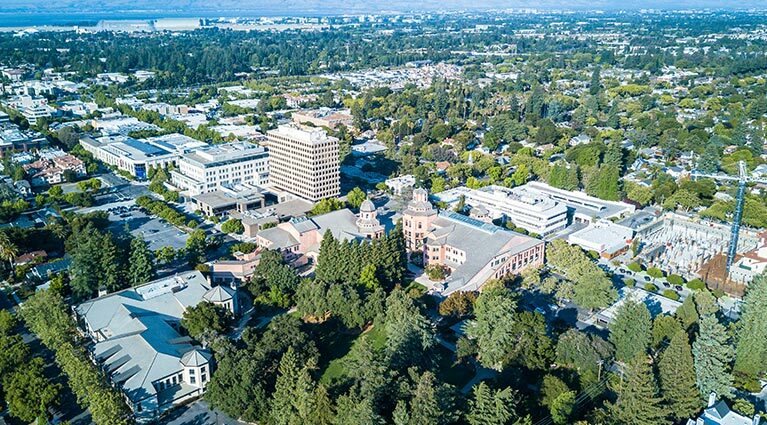 Take a tour of Stanford University in Palo Alto, one of the country's most elite private universities, featuring diverse academic programs, a beautiful campus and Cardinal athletic teams. 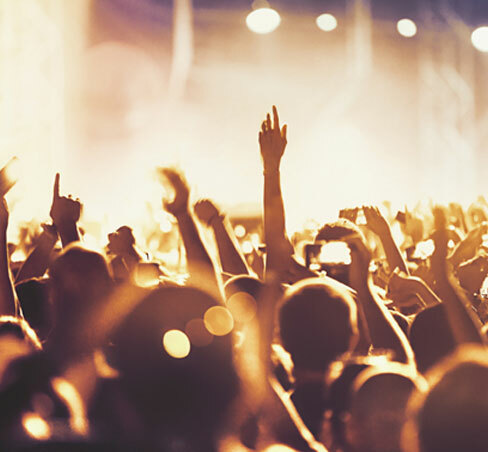 Experience a concert under the stars at Shoreline Amphitheater, an incredible outdoor entertainment venue, featuring the hottest artists, bands, shows, festivals and special events in the Bay Area. 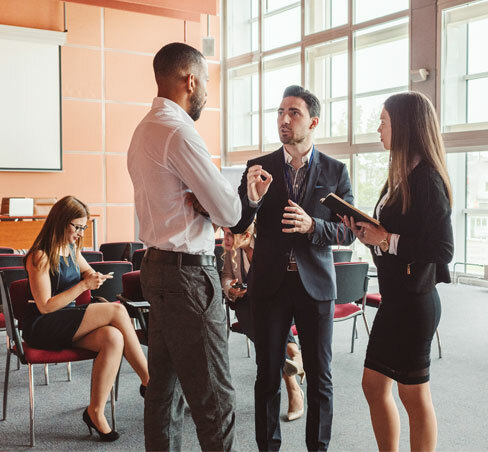 A cutting-edge meeting and event venue in Silicon Valley, the Santa Clara Convention Center hosts meetings, trade shows, expos, conventions, conferences, consumer shows and special events. 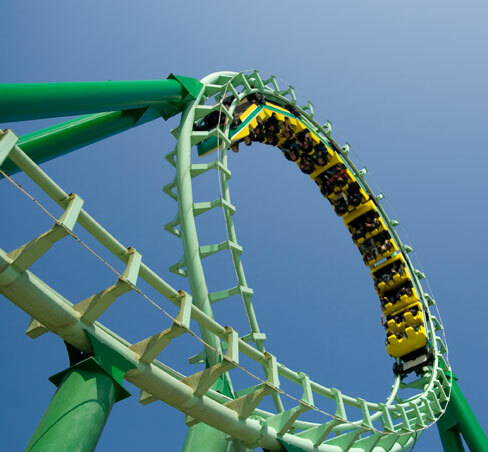 Enjoy a thrilling family adventure at the Bay Area's ultimate theme park with raging coasters, rides, games and attractions like Gold Striker - the tallest and fastest wooden coaster in California. 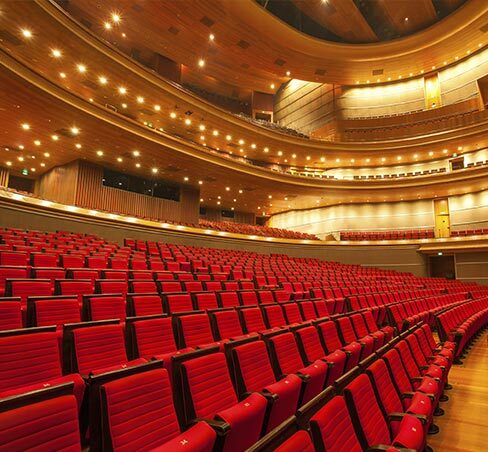 The heart of the downtown Mountain View arts community presents powerful shows and performing arts in an intimate theater where every seat connects you to the stage. 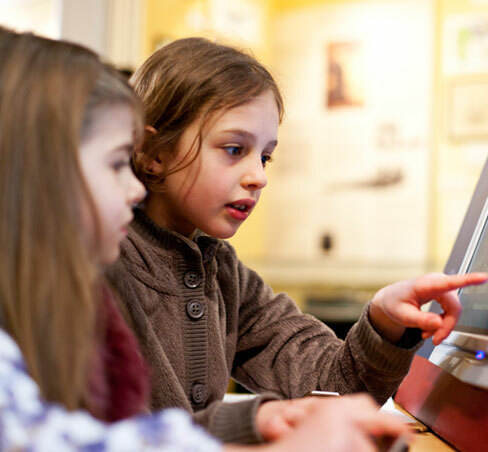 Discover the largest collection of computer artifacts in the world at the Computer History Museum with hands-on exhibits on the evolution of computer technology. 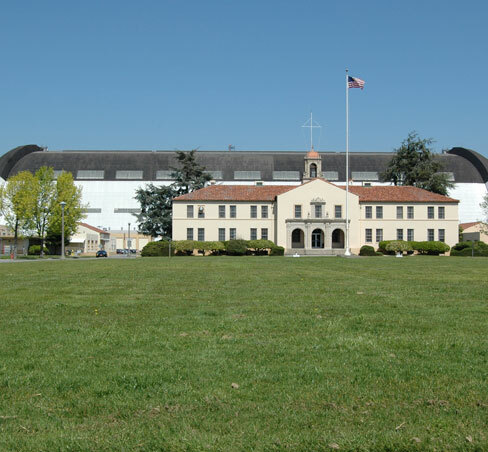 One of 10 NASA field centers, Ames Research Center plays a vital role in NASA's missions and aeronautics programs. Take a fascinating guided tour of the Ames Exploration Center. 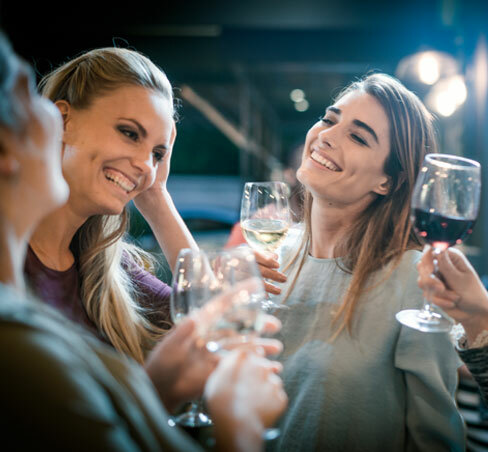 The Annual Mountain View Art & Wine Festival is an energetic street party with over 600 artists, live music, crafts, garden and home exhibits and local cuisine and wines. 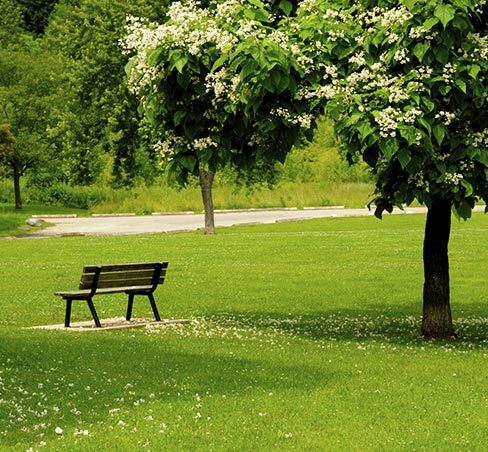 Nestled in the bayside landscape of Mountain View, Shoreline Park is a scenic recreational area with a lake, wildlife areas, a golf course and trails for walking, biking, and bird watching. 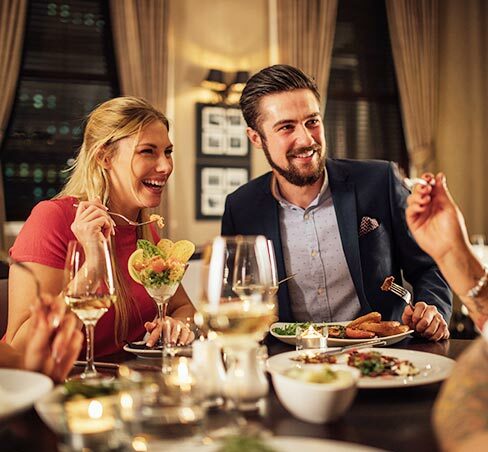 Explore downtown Mountain View's vibrant culinary scene filled award-winning restaurants, cafes, and bistros from fine dining to take-out near Hotel Vue. 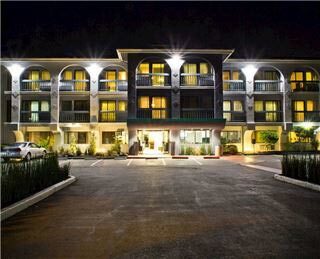 Walk to an array of coffee houses, sidewalk cafes, and upscale eateries featuring Italian, Mexican, and Sushi. 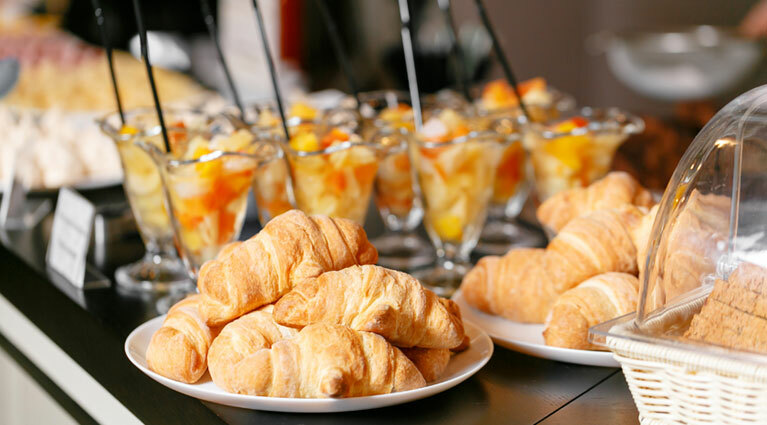 For something closer to home, start your day off right with a delicious complimentary Continental breakfast in our lobby. 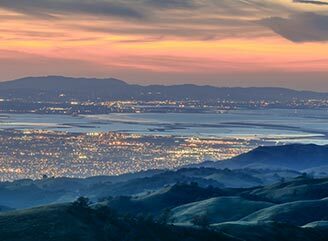 Save and stay in style in the Bay Area with our featured hotel specials for year-round savings and last-minute deals on getaways to Silicon Valley.